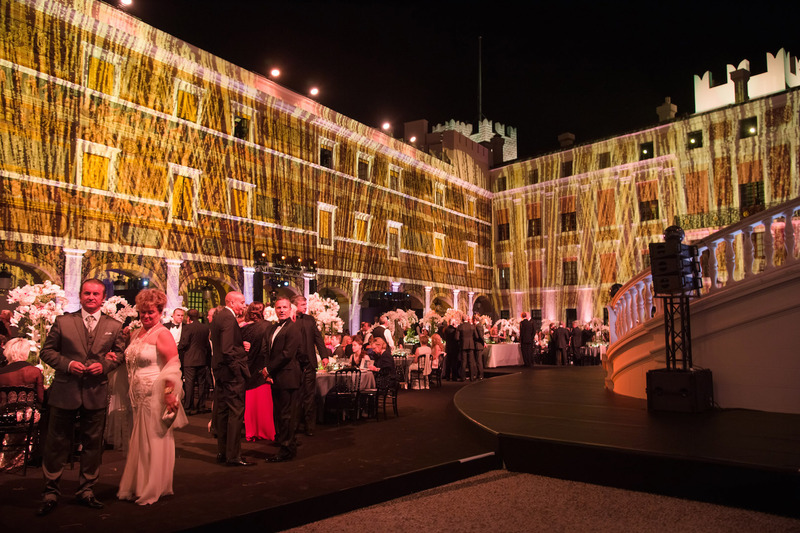 On September 5th, the Princess Grace Foundation-USA presented the 2015 Princess Grace Awards Gala hosted by Their Serene Highnesses The Prince and The Princess of Monaco at the Prince’s Palace of Monaco for the first time in the organization’s 33-year history. 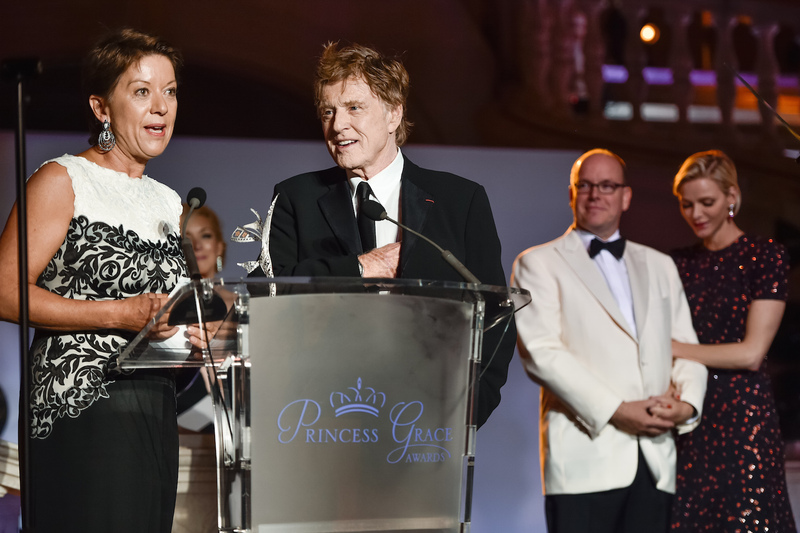 The Gala sponsored by Christian Dior Couture recognized Robert Redford and Sibylle Szaggars Redford with the Prince Rainier III Award for their outstanding contributions to the Arts and their exemplary give-back. Filmmaker and writer Cary Fukunaga was honored with the Princess Grace Statue Award for his incredible success in the film and television industry since receiving the Princess Grace Award in 2005 as an emerging artist. 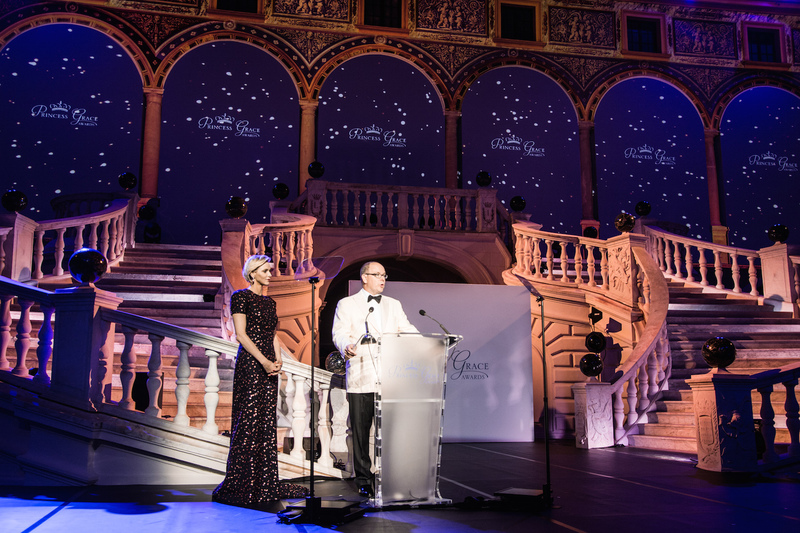 The Princess Grace Awards carry on the legacy of Princess Grace [Kelly] of Monaco and her desire to sustain artistic excellence by identifying and assisting emerging talent in theater, dance, and film. 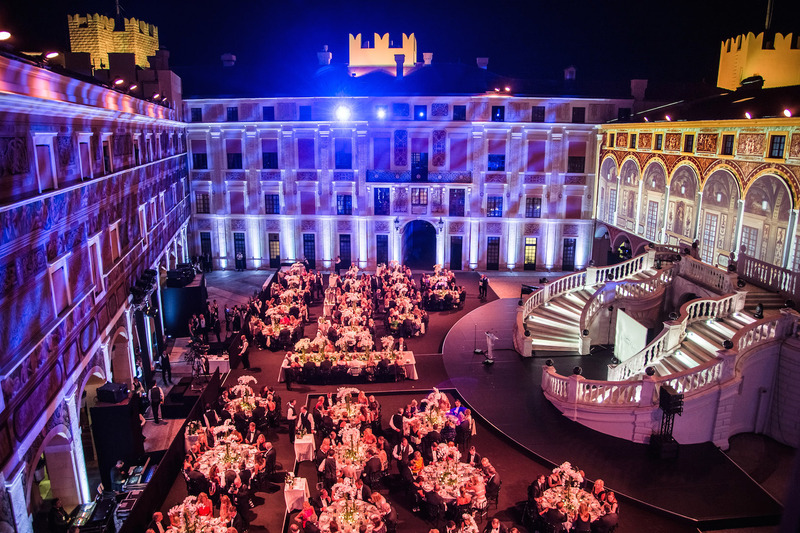 The choice of hosting the Gala at the prestigious venue was the result of a strong wish expressed by HSH Princess Charlene of Monacoto offer a unique setting to Princess Grace’s legacy. The treasured legacy her mother-in-law left behind and the outstanding work her foundation provides to emerging artists in theater, dance and film was very inspiring to the Princess. HSH Princess Charlene of Monacodazzled the attendees with her stunning full-length Christian Dior Couture gown. 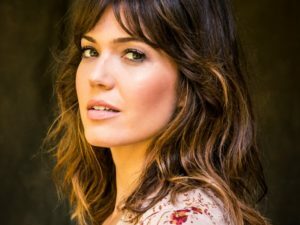 Since its inception, the Foundation has given nearly 900 awards to emerging talent in theater, dance, and film by awarding nearly $13 million in scholarships, apprenticeships, and fellowships. 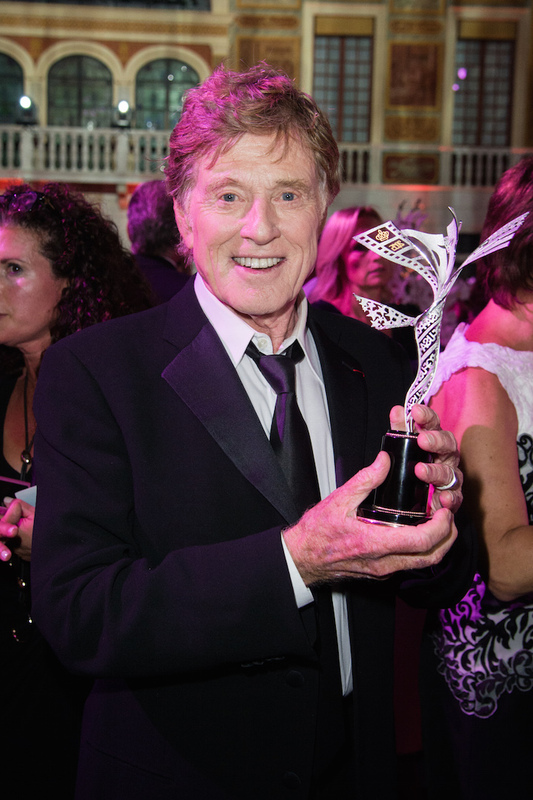 His Serene Highness Prince Albert II of Monacoand Her Serene Highness Princess Charlene of Monaco presented Robert Redford and his wife Sibylle Szaggars Redford with the Prince Rainier III Award designed and created Alex Solider. 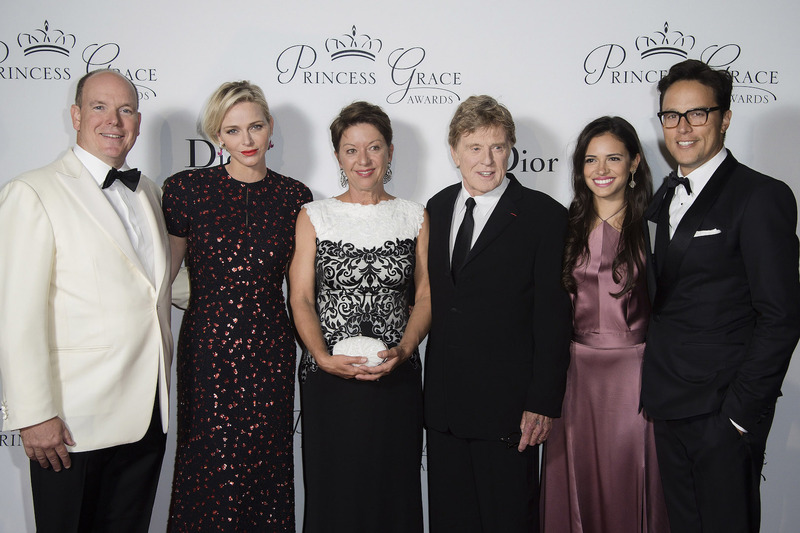 During the awards gala, HSH Prince Albert II of Monaco spoke about Princess Grace Foundation-USA’s successful synergy with Redford’s Sundance Institute – to date 58 Princess Grace Awards winners have had 131 projects accepted into Sundance’s Film Festival and Labs. 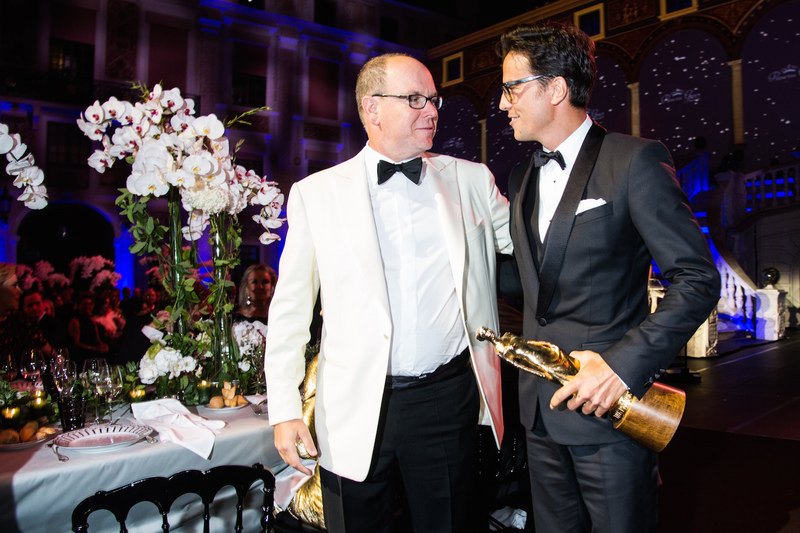 2015 Princess Grace Statue Award honoree Cary Fukunagawas presented with a bronze statue of Princess Grace created by the Dutch artist Kees Verkade. In addition to the award, Princess Grace Foundation-USA helped fund Fukunaga’s latest project, Beasts of No Nation, which will be released on Netflix globally on October 16th. 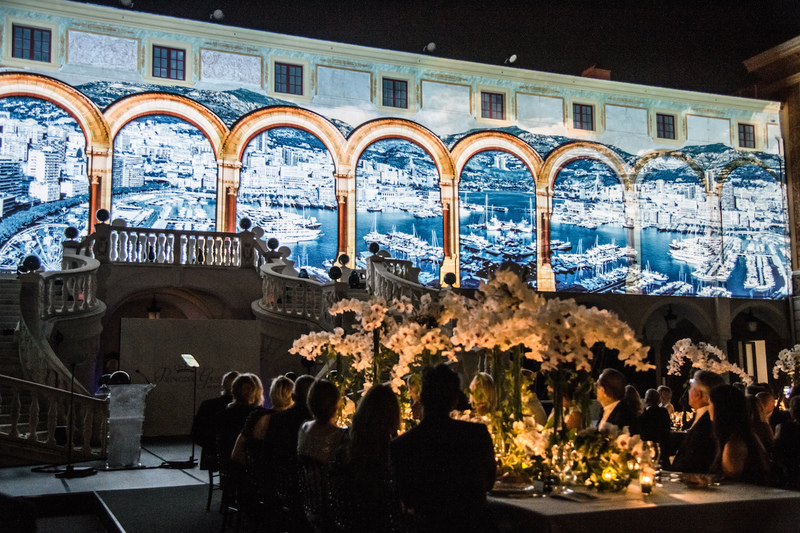 Princess Grace Foundation-USA officially announced a special collaboration with the Fondation Princesse Grace de Monaco. 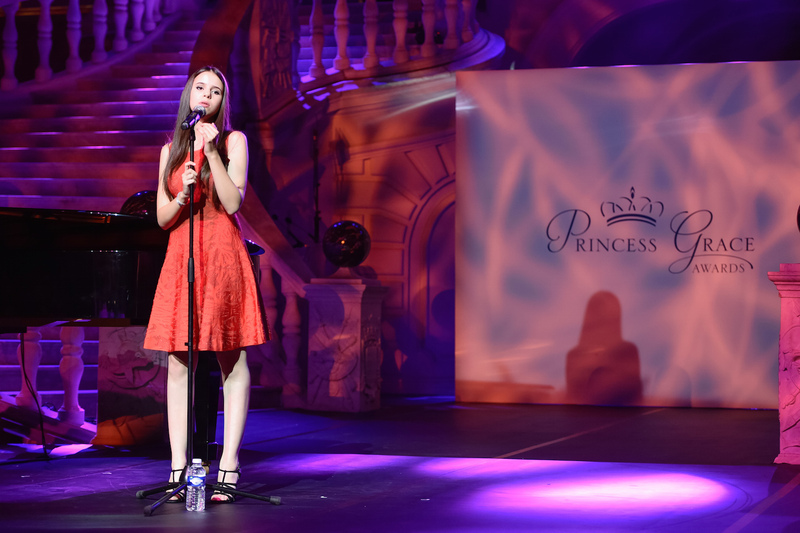 As of this year, the Princess Grace Foundation-USA will annually contribute towards the artistic endeavors supported by the Fondation Princesse Grace de Monaco, namely Les Ballets de Monte Carlo’s school and company. 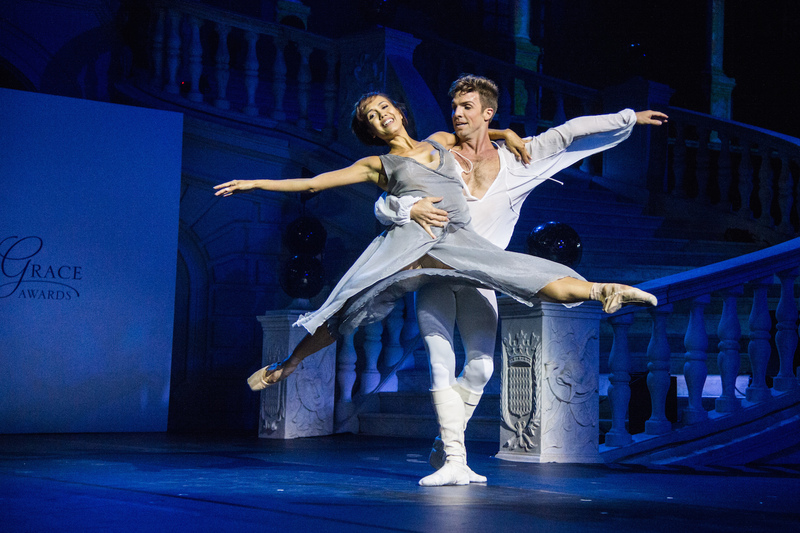 Les Ballets de Monte Carlo’s principal dancers Noelani Pantasticoand 2008 Princess Grace Awards winner Lucien Postlewaite performed the balcony scene from Roméo et Juliette choreographed by award-winning dancer and choreographer Jean-Christophe Maillot. 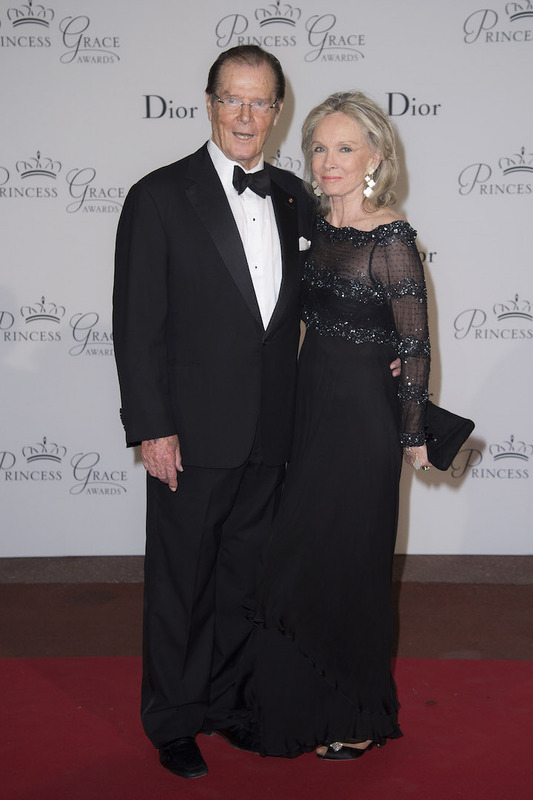 The Princess Grace Foundation-USA will honor this year’s winners of the Princess Grace Awards next month with a special luncheon in New York City, and will be awarding over $1 million to emerging artists in theater, dance performance, choreography and film. Additional attendees included: Sir Roger Moore, Lady Amanda Cronin, H.E. Maguy Maccario Doyle (Ambassador of Monaco to the United States and Canada / Princess Grace Awards Gala Steering Committee), Eduardo Garcia (PGF-USA Arts Advisory Board), Bahaa and Hassnah Hariri (Host Committee), Hon John F. Lehman (Chairman, PGF-USA), D. Christopher Le Vine, Jean-Christophe Maillot (Les Ballet de Monte Carlo), John & Jenny Paulson, Yves G. Piaget (President, Piaget / PGF-USA Board of Trustees), Lily Safra (Host Committee), Alex Soldier (Prince Rainier III Award designer), Sidney Toledano (President and CEO, Christian Dior Couture), Jon B. Turk, M.D. 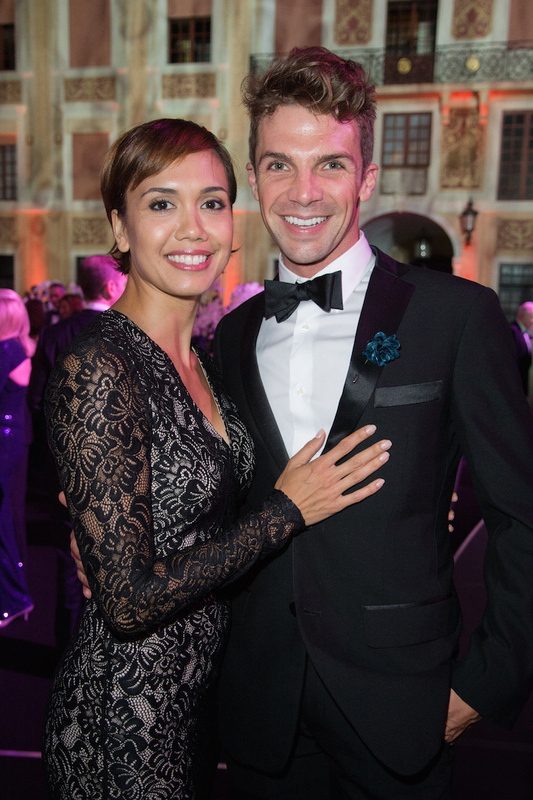 (PGF-USA Board of Trustees), Kees Verkade (Princess Grace Statue Award designer), Lynn Wyatt (Host Committee), and more.